We have shared the stories about Rosario in Peru and Williams in Uganda and how working through Kiva.org is improving their lives. 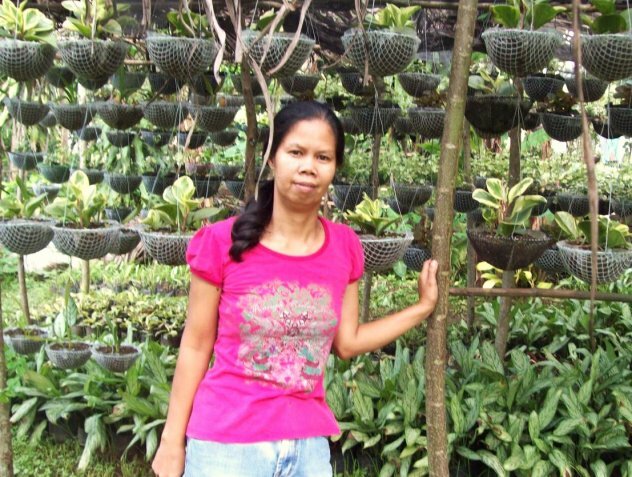 Our third story tells about Angelina who lives in Silang, in Philippines where she and her family have a farm. Silang with over 200 000 inhabitants is approximately 45 kilometres south of Manila. With the continuous expansion of Manila, the municipality is now part of the Manila’s conurbation. The primary crops grown in the area are coconut, coffee, corn, banana, pineapple, and tree crops like mango, guava, and avocado. Fertile soils and abundant water sources make Silang suitable not only for common commercial crops but also for high value and exotic crops production. Agricultural products are marketed to Manila and neighboring towns. A loan of USD 750 by Kiva helped Angelina to pay for gardening materials needed in her business like wire and baskets, and supplies such as seed and fertilizer. Profits from her business will help her to sustain their daily needs and educational expenses of her children. She hopes to have a peaceful life and dreams to give her family a good future. We invite you to take part in Comptel’s team and help us provide financial services to low-income individuals or to those who do not have access to typical banking services. By today Angelina has already paid 16% of her loan. For marketers in the ICT industry, the first quarter of the year is traditionally packed with key activities, which set tone and present the themes for the coming quarters. Mobile World Congress (MWC13) is one of those major events where most of us put a lot of effort to showcase something new and innovative that captures the attention of the public. We at Comptel believe that Contextual Intelligence at Every Touch Point helps Communications Service Providers (CSP) to connect emotionally with their customers to make and save money. We thought that we were early with the preparations on the themes, spearheads and the actual marketing elements that we wanted to share prior to the event and at the actual event. We surprised our advertising agency with a reasonably well documented storyline and spearhead descriptions. So we all thought that we are ready for execution and have more than enough time. When executing our plans, we once again met the same challenges as also the CSPs face when trying to seamlessly launch multi-device and multi-channel services, which their customers demand. Considering how fast the suitable tools and technologies develop, this might sound like a piece of cake. However, the variety of available devices, browsers and releases is endless, and the testing and fine-tuning the applications can be quite an exhausting task – especially if the application in question contains any additional elements besides text, still pictures or videos that are stored, for example, in YouTube. The complexity of the CSPs’ service creation and delivery environments cannot even be compared to our small project. However, this served as a good reminder for us at Comptel, that the service experience consists of such a big number of variables that the solutions we develop to handle the provisioning and activation of customers and services efficiently and effortlessly are indeed needed. 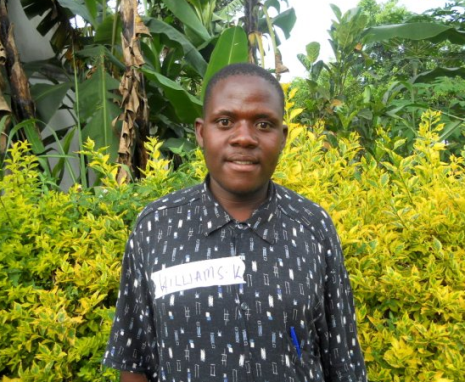 We recently shared a story about Williams in Uganda and his success working through Kiva.org. Building upon that, Comptel is eager to share another story about the difference Kiva is making on communities across the globe. Thirty year old entrepreneur Rosario lives in eastern Peru, right along the banks of the Ucayali River, a major tributary of the Amazon River. 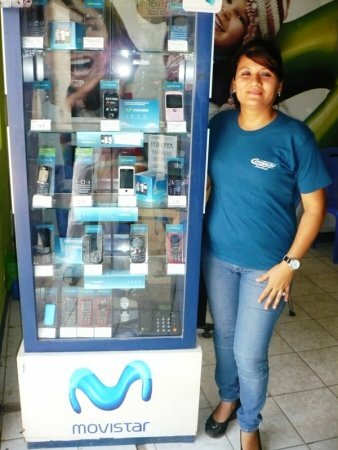 She employs two other people at her small business in Pucallpa, which buys and sells mobile phones. Rosario loves her work, particularly because she enjoys helping customers find a mobile phone and any accessories that meet their specific requirements. Having successfully managed her business for eight years, Rosario recently found herself needing some financial assistance in order to keep up with increasing demand. Realising what an honorable, hard worker she is, Kiva decided to loan Rosario 2,000 Peruvian Nuevos Soles (USD $775) to help keep her business afloat. Thankful for Kiva’s support, Rosario is confident that her business will continue to grow and is now optimistically looking to the future. We invite you to take part in Comptel’s team and help us alleviate some of the financial burdens carried by such hard-working individuals who often do not have access to typical banking services. In late 2012, Comptel began working with Kiva.org, a group focused on lending funds for projects around the world. As we begin the New Year, we’ve already seen the positive impact Kiva has on communities in need. For instance, 27-year-old Williams in Uganda is married with a child, and provides for his family by selling crops and livestock. A loan of $325 helped him purchase a mobile phone, solar charging set and weighing scale. This loan is part of Grameen Foundation‘s AppLab programme, where Community Knowledge Workers (CKW) are provided with this equipment to become knowledge centres for their communities. Williams looks forward to becoming a CKW, so that he may provide vital farming information to his community – helping them access information to improve crop yields, connect with various markets and, ultimately, generate more income. 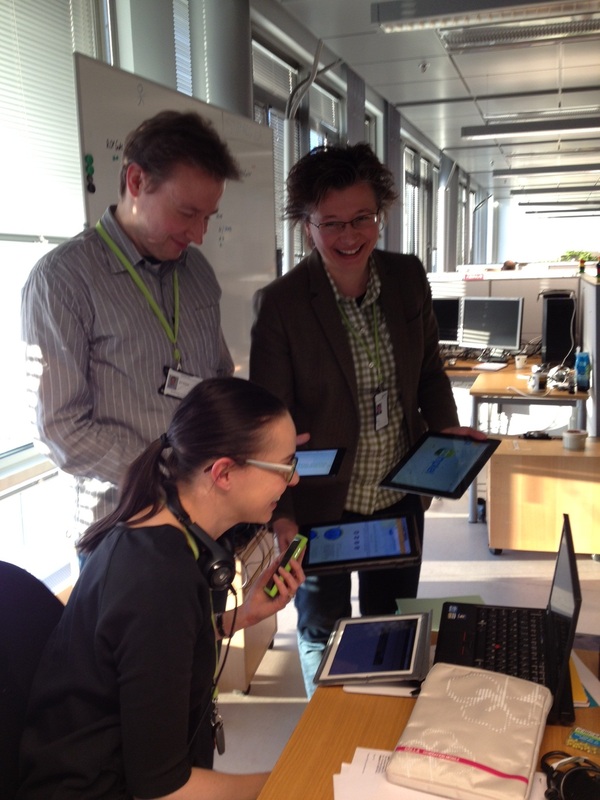 Williams can also conduct mobile surveys to help local organisations better meet farmers’ needs. CKWs make monthly salaries based on the number of surveys they collect, enabling them to repay Grameen for the equipment. With the additional money that Williams will earn as a CKW, he will save to buy another cow, as he dreams of having a large dairy farm.